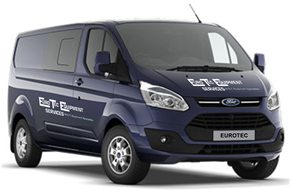 EuroTec Equipment Services is a family run business with 30 years experience in the garage equipment engineering trade. We are SIRA / UKAS accredited in calibration and are fully trained in our MOT equipment range for Installation and service. Being a family business we offer a personal response to your enquiries and a 24 hour help line for all your MOT and garage equipment requirements. We specialise in MOT equipment sales including site plans for VOSA approval with continued support from initial site visit to all future calibrations and MOT requirements.